June 20th is International Refugee Day, an annual reminder of the globally displaced. 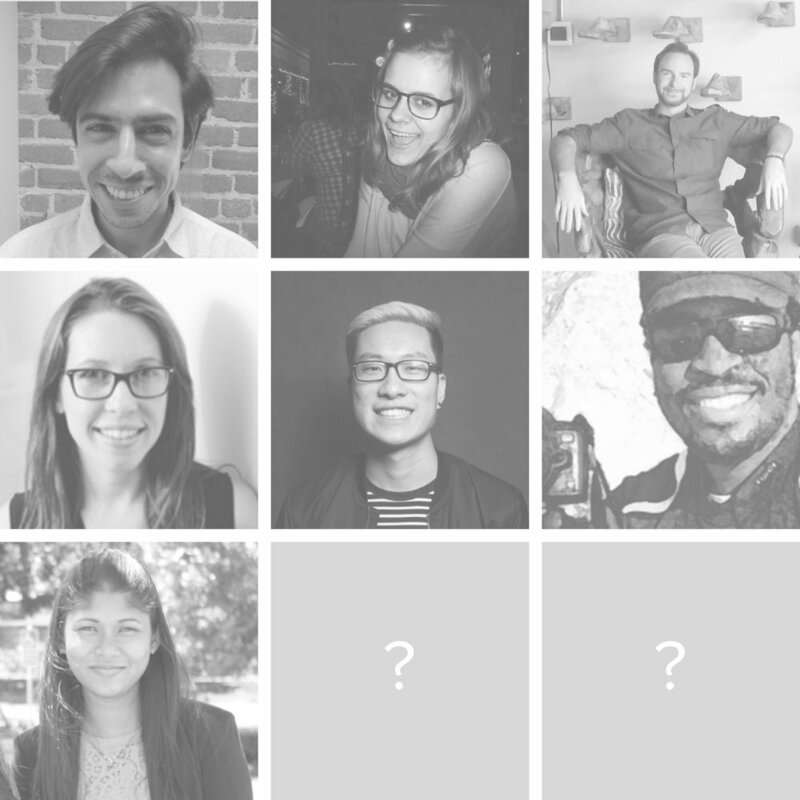 AJ+'s cross-functional team set out to create a digital experience that communicates the difficulty of being forced to leave your home in search of something better. The executive producers, who were overseeing this project, really left it in the core team's hands to bring this project to life. This was no one's primary responsibility during the workday, so we all had to find extra time to make this project happen. Competitive analysis showed that not only were there exciting things going on in the interactive digital journalism space with traditional media outlets like the New York Times, but Google was doing it fascinating work as well. Content planning: Traditionally, a lead journalist would oversee the gathering of story content first hand, on location. We didn't have that luxury. The content that we were using was based on assumptions for who we would be speaking with, but we didn't have the availability to be there first hand to see through our original strategy. Modular design: Knowing we couldn't guarantee the content we thought about the product differently. 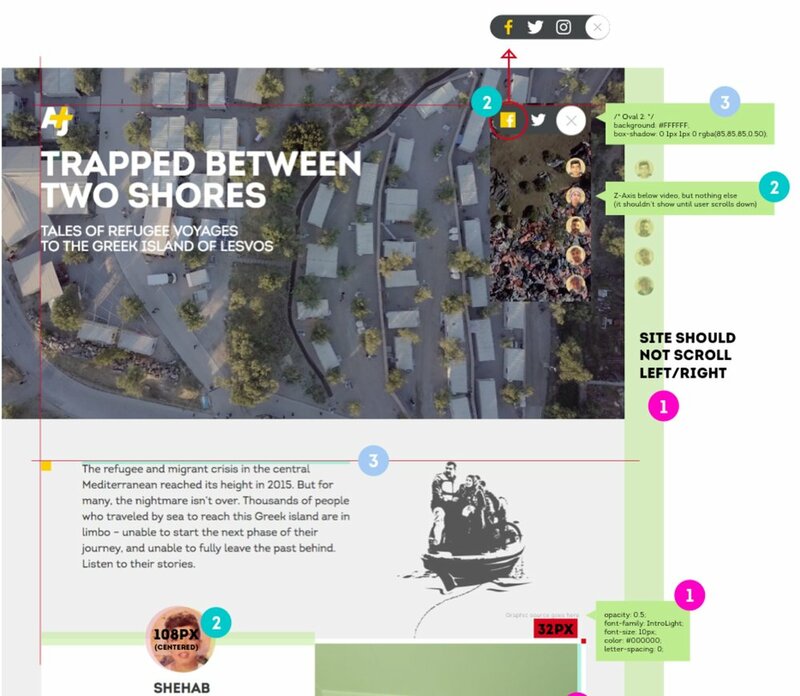 Our strategy was to not build a finite constant presentation but to make a flexible container system that could accommodate various types of video, text, graphics, and interactive elements. Timeline: although we planned the project over the course of a month, we only had around a week to design, build, test, and deploy. 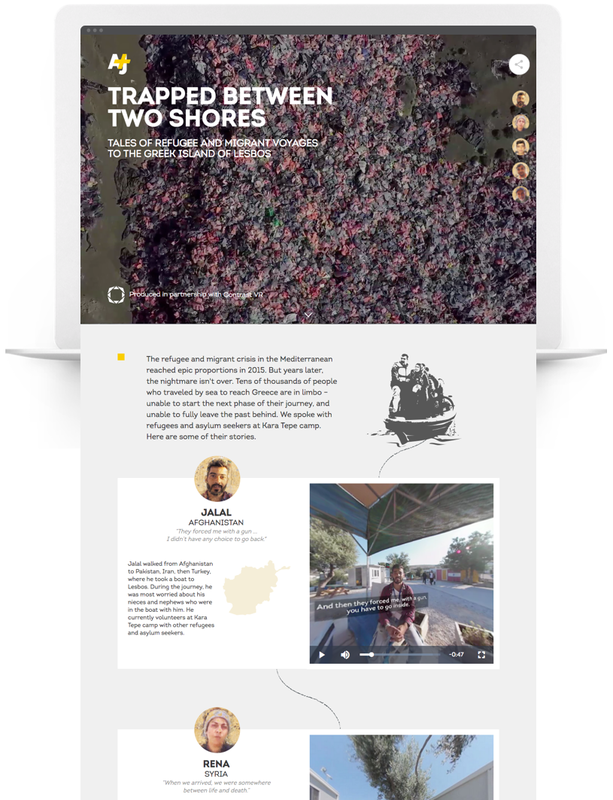 A custom web experience featuring 360° videos of six refugees all in a camp in Lesbos, Greece. We were also grateful to feature some fantastic drone footage of a life jacket graveyard, which you can see as the featured hero footage. 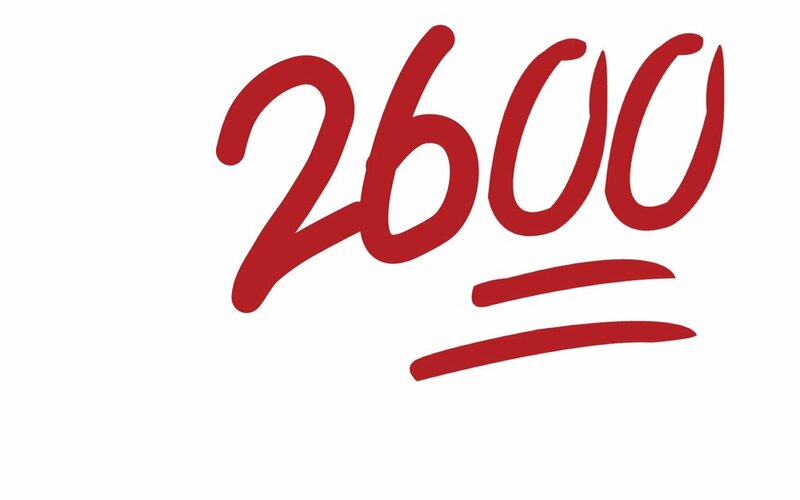 The site got 2,600 page views, which wasn't that exciting. 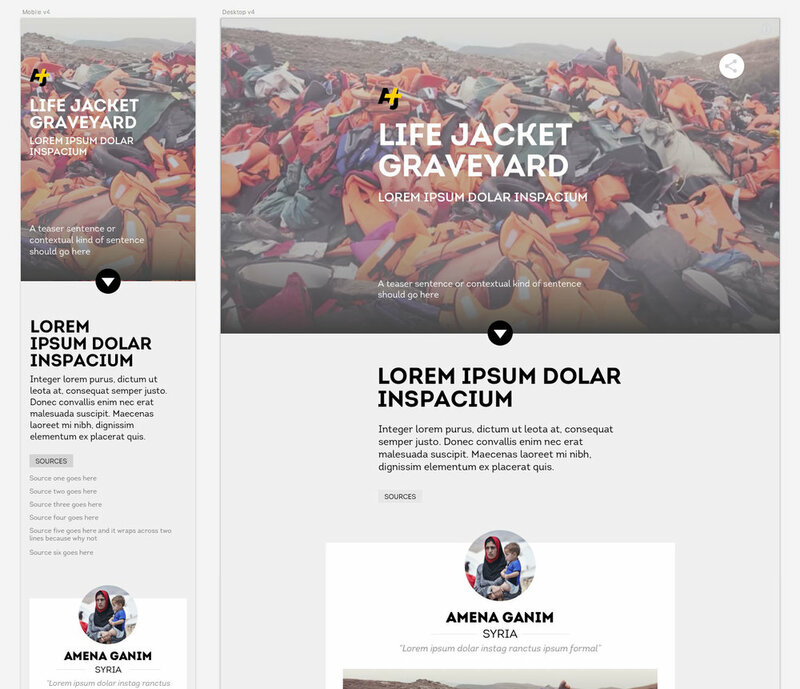 When we did our postmortem, it was completely agreed upon that the real value of the project was in learning some hard lessons about content being an absolute requirement for design and that "evergreen" editorial subjects would work better for future projects.